THE county council is set to increase its council tax take by 3.99 per cent – an extra £48.36 per annum on a Band D property in Redditch. Of that money 2.99 per cent will be used to support the general budget, including proposals to invest millions of pounds in tackling congestion and upgrading railway stations, while one per cent will be ring fenced to cover the council’s burgeoning adult social care bill. Redditch, along with Evesham, Stourport and Worcester will gain a share of £2.5million earmarked to improve town centres, the money likely to go on continuing the pedestrian paving completed in Alcester Street last year, taking it across Church Green. However the authority has backtracked on plans to introduce car park charges at Worcester Woods Country Park and reduced the cut on the money earning Archaeology and Archive Service from £405,000 – more than 50 per cent of its budget to £250,000. This came after Labour Leader at County Hall Robin Lunn (Redditch North) raised the issue at last week’s full council meeting. The cause was then taken up by the Bishop of Worcester, Rt Rev John Inge, who raised the issue in the House of Lords. “I’m convinced if we had not had the debate and brought this cut to people’s attention this figure would not have changed,” said Coun Lunn. The Conservative-controlled authority has also budgeted an extra £5m to relieve congestion to be spent over the next three years. Other proposals include £4m to build a new footbridge across the River Severn in Worcester and to refurbish Sabrina Bridge in the city. An additional £5m is to be invested in upgrading of railway stations. Councillor Simon Geraghty (Con, Riverside), the Leader of Worcestershire County Council, said: “These capital investments are essential for us to continue to support Worcestershire’s growing economy. “By investing into the county’s infrastructure we will help to attract more businesses and build more homes which will help us to grow the Council’s income. “The Budget we are proposing will invest £26m into these schemes over the next three years, while at the same time providing significant revenue investments into adult social care and into improving the lives of the county’s children and young people. 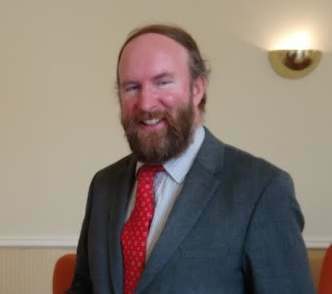 Coun Lunn said Labour had produced a fully costed alternative budget which would keep all the authority’s libraries open, boost spending on homelessness, reduce the cut to the Archaeology and Archive Service and boost discretionary grants for councillors. Savings would come from a variety of sources including axing a Cabinet post at County Hall. The final budget will go forward for approval by full council in two weeks time.